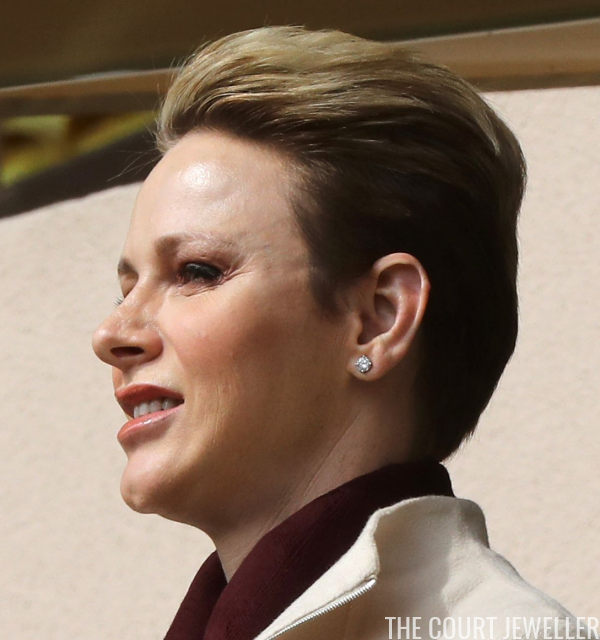 Princess Charlene of Monaco didn't attend Saturday's Rose Ball, but for good reason: she had a very busy Saturday scheduled already. 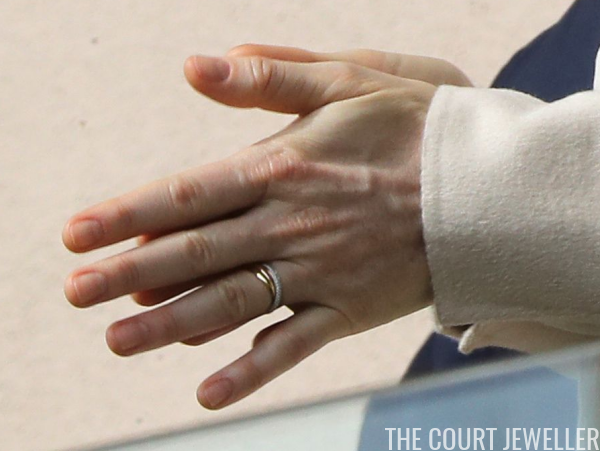 Here's a look at the jewels she wore during two Saturday engagements. Charlene began the morning at the Louis II Stadium with her husband, Prince Albert II, and their daughter, Princess Gabriella. The occasion: Monaco was playing in an international rugby tournament. Charlene wore classic diamond stud earrings to watch the match. She also wore rings on the fourth finger of her left hand. I'm not entirely sure, but it looks like she might be wearing a Cartier Trinity ring -- perhaps this one, which is made of white, yellow, and pink gold and white diamonds. Here's a look at Charlene's entire ensemble. After the rugby match, Charlene jetted off to Austria, where she attended the opening ceremony of the Special Olympics World Wintergames in Schladming. She walked out with Monaco's delegation of athletes at the ceremony. Charlene appropriately wore patriotic red and white for the ceremony, pairing red lipstick with Dior's Tribales earrings.